Support Groups - Alzheimer's Idaho - Serving families in Boise and the Treasure Valley. 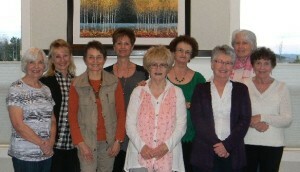 Alzheimer’s Idaho is proud to announce the formation of a very special support group model. We presently have (2) groups that now address the social piece that is lost in the lives of those specifically caring for spouses affected with Alzheimer’s/dementia. These groups have been born from a very sensitive unmet need, and presently are wives caring for their husbands. Our original group formed in 2011 and the second just formed December, 2012. These groups are called: ”Sweet Magnolias”. They are not to replace attending other support groups locally that provide education and speakers, but separately add the important link of lost social contact. Our Sweet Magnolias’ groups are limited to 10 people each. We will continue to form new groups as awareness/growth takes place. A host is assigned to each group. As this is a social model, we not have speakers, etc., but encourage attendance to many wonderful local support groups formed for that purpose and provide listings of these groups. Such community-based support groups are vital as Idaho families struggle to care for the growing number of people with Alzheimer’s. An estimated 26,000 people in Idaho have dementia; national studies show that 80 percent of Alzheimer’s care is provided by family members. Alzheimer’s Idaho created the Sweet Magnolias support group in late 2011 out of an unmet need for spouses of those affected with Alzheimer’s/Dementia. This special group was formed as a social model to add well needed friendships back into their lives. This devastating disease robs many special relationships from them as they become more isolated in their all-encompassing caregiving. One night a month this selfless group of spouses meet to eat, laugh, and share with others who are in the same life changing situation. The bonding is remarkable! There is not a thing one would not do for the other. In December 2012, our second group of Sweet Magnolias was quickly formed after awareness via a local newspaper article. In this short time, these new friendships have formed and the love and value of their new friends has been very heartwarming. They have bonded quickly and all acknowledge the social void that was in their lives. They also appreciate that void being filled with this new group. The warmth and love that was in the room that very first night together last December, gives a strong testimonial of the importance of Alzheimer’s Idaho offering the Sweet Magnolias’ groups. As an ongoing fundraiser, we are now offering our new cookbook dedicated to our Sweet Magnolia support groups and includes 295 favored recipes. Books sell for $16 each. Feel free to contact us to place an order, or simply click the Buy Now button below to order through PayPal. Alzheimer’s Idaho has combined a listing of various support groups which cover Ada and Canyon counties, and as new groups form and submit their listings, they will also be added to give our local families the support they so well deserve and need. The meeting places for groups include assisted living, independent living, churches, and family residences. The leaders are volunteer and give of their valued time to form groups that can meet with the purpose of sharing experiences, receive well needed support and camaraderie, and education. They all welcome new members. If you would like to receive an updated local support group listing, please email Jerri Stanfield, Executive Director, Alzheimer’s Idaho and a copy will be sent to you via email. In addition to our listing of various Alzheimer’s support groups, we would also like to offer contact information specifically through Well Spouse, a local non-profit that offers support specifically for wives, husbands and partners of those affected with Alzheimer’s/other related dementias. They believe when one is sick, two are needing help. You may contact: Patti Bowman, Founder/Director at 208-860-7439 or email and she will be able to give you date and times for their support group meetings.